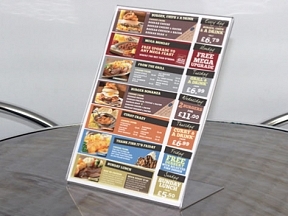 All our menu holders are designed to be used with regular paper, meaning you can save money by printing your own menus! This gives you great flexibility with changing of items and prices. 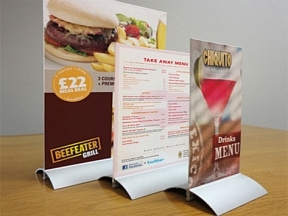 Our menu holder range can be seen below, several size options are available and can be selected by clicking into your choice..